The TORQUEPOWER tradition continues as Jessie Fuenzalida, another generation, learns the ropes at Torquepower. Jessies’ grandfather Hector Fuenzalida worked at Torquepower in the mid-1990s. 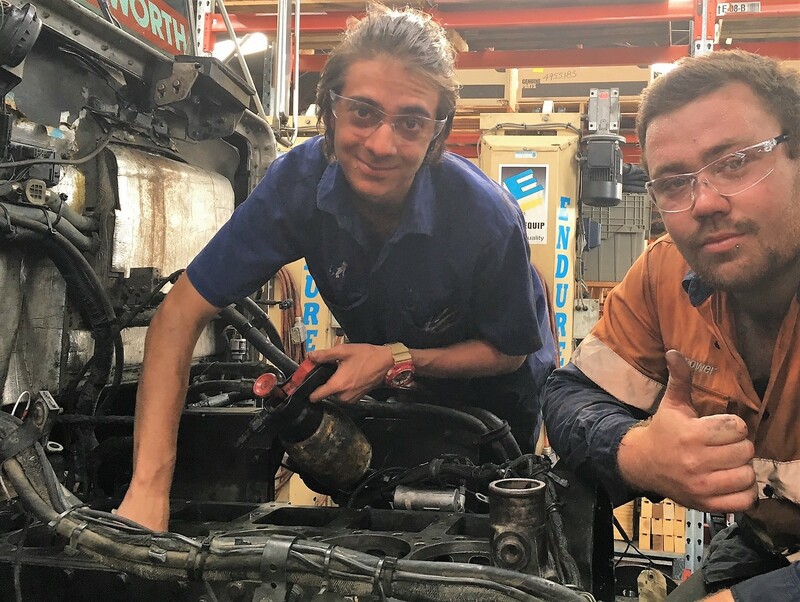 When he first immigrated from Chile to Australia years before Jessie was born, Hector settled into a little Italian workshop in Melbourne (an Italian girlfriend helped with language training!) then a stint with Isuzu before coming to work with the Torquepower team. “On the weekends, I help set up for festivals with my mate. I genuinely enjoy setting up music, lighting and generators . Once the work is done, you can really relax. Another hobby is gardening, really; any work with my hands is good. “ Good people, good products. www.torquepower.com 0732778277 170 Beatty Road, ARCHERFIELD. Pictured; Jessie learns from Torquepower’s Blade Walker.